Vibrant color throughout summer into Autumn until the first frost occurs. 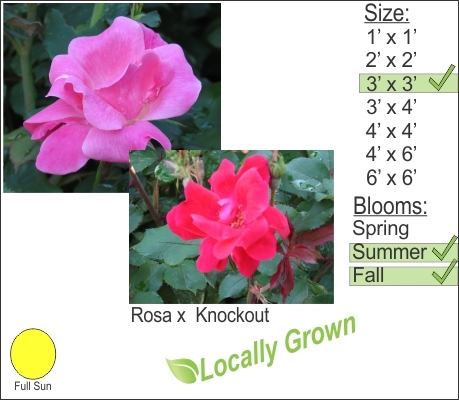 Double Knockout Roses are an excellent choice for easy to maintain low maintenance roses. Plant these roses in a sunny location and sit back and relax. Knockout roses are disease resistant and you need to cut back dead branches in early spring. Pruning encourages better flower production. These roses pair well with Winter Gem Boxwood.